The GCRFEV organized and distributed relief materials in the relief programs in four different areas on Saturday in the village of Mahamanjisristhan and Bhaktapur. 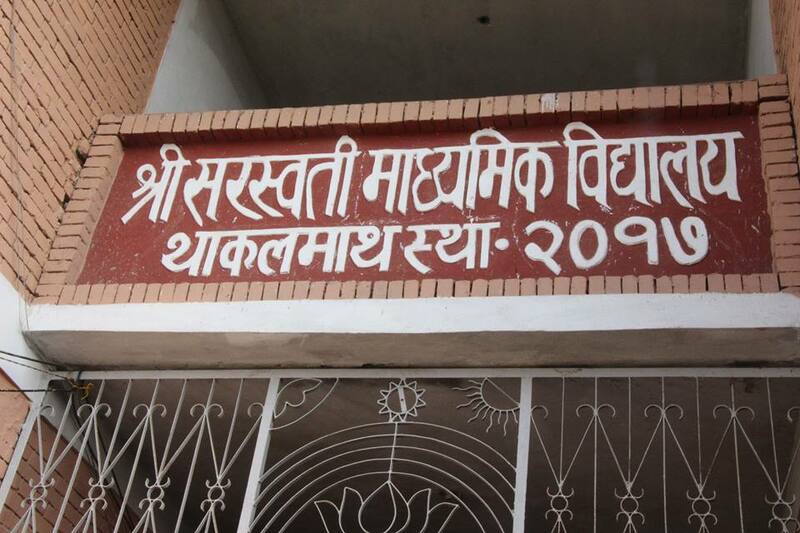 First in the school named Saraswati Higher Secondary School, Thakalmatha, Nagarkot – 7. It distributed Note copies, pens, pencils, erasors, pencil sharpeners to the students majority of whom are earthquake victims. About 210 students students both boys and girls studying from grade 1 to grade 12 received the relief materials related to their education. In the school, about 12 teachers are teaching the students in a difficult environment in the aftermath of earthquake. Due to earthquake, the houses of most of them collapsed and are now somehow living under the makeshift homes made of zinc. The four classrooms, walls, library, Science lab have also been damaged by Earthquake. The pressing problems the village school is confronted with are the problems of water resources. There is a lack of public hall for holding programs like parents day and other school events. There is a lack of education materials. These are the most prominent problems and scarcities the Saraswati Higher Secondary School is facing at the moment. The GCRFEV then distributed the same relief materials like note copies, pens, pencils, erasors, pencil sharpeners to the students of Shri Balmikeshwor Lower Secondary School at Dhareli, Bhaktapur. The School has only students studying from Nursery to Grade seven. There is an acute lack of financial resources as is common in Village schools. About 205 students both male and female from Grade nursery to grade seven received the education related relief materials. Due to the major earthquake that occured in April 25, 2015 and many aftershocks, many schools specially village schools and some urban schools also collapsed. This is a huge problem for the villagers both young and adult who were studying in their respective scarcity striken schools. Most of the children and the adult villagers both boys and girls are now deprived of the school education. They cannot go to school because the earthquake has destroyed their schools already. But still there is no reconstruction of the village schools even though some makeshift schools are being built, some renovated. The children are the cornerstone for the country’s development and their own career. So something substantial must be taken into consideration to help those village students financially, materially and to rebuild and renovate and facilitate the existing village schools. After those two relief programs, the GCRFEV went to the village called Dulal Village where 105 families are living all having the same awful story to tell about the destruction of their homes by earthquake. Due to winter, they are living very pathetically, shivering with cold in a makeshift huts of zinc. GCRFEV distributed blankets for all of them. For all of these three relief programs, the GCRFEV is very much grateful to Ven. Rajya Prabha Guruma. Similarly the GCRFEV also distributed blankets to the impoverished and destitute residents of a ramshakle dilapidated huts. They are the residents of Bekhal, Bhaktapur which saw the massive destruction in the aftermath of repeated earthquake. Those poor people don’t have anything to cover their body at night in this excruciatingly cold winter season. We saw how they are living? really really pathetic. There is a small congested makeshift rooms made of zinc sheets which are barely sufficient to cover the open walls while there are big opening here and there. Even in the day time, we felt such a terrible cold, how could they manage at night? Something must be done for them right now. 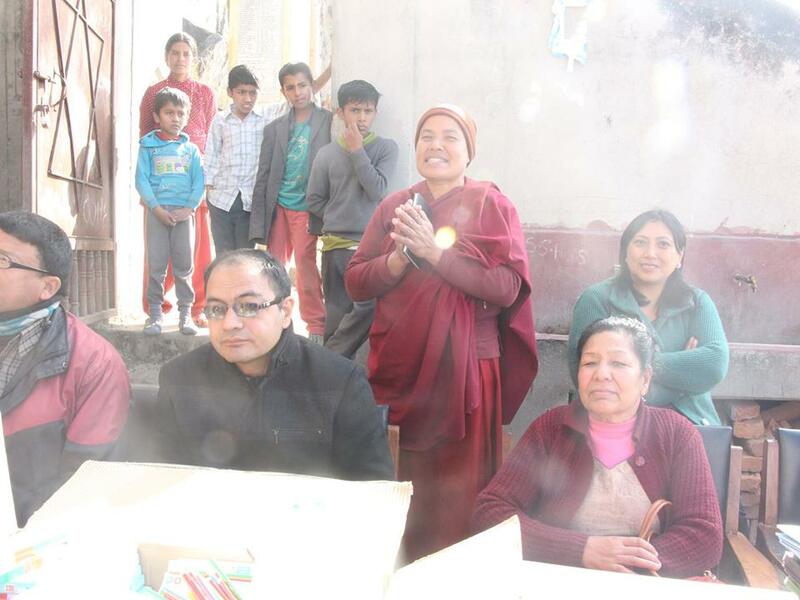 The GCRFEV provided blankets to the 35 residents of that slum area whose life as said before is so pathetic and miserable that it causes everyone to fill their eyes with tears of compassion…..There is scarcity everywhere for those poor earthquake victims. I pray may their scarcity, suffering end soon, may they have strong homes to live happily once again…. Last but not the least, the GCRFEV is very much thankful to Dao Trang Phap Hoa, USA, our team members Kishor Bhai Bajracharya, Mr. Tika Sherpa and so forth. And for the relief activities in Behal, Bhaktapur, the GCRFEV is specially thankful to Mr. Bikash Singh.